MaxBit Computer Screwdriver kit is built to the highest quality standards. 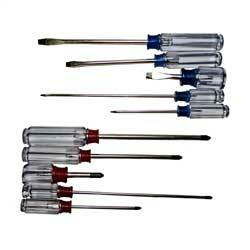 The screw driver kit comes with both phillips head and slotted heads. They come with #0, #1, and #2 heads. There are long and short screw driver shafts. The heads are magnetic to hold screws for motherboards screws and other hard to reach locations. The screw driver heads and shafts are harden steel. The handles are clear harden plastic, with a common shape that most customers are comfortable with. 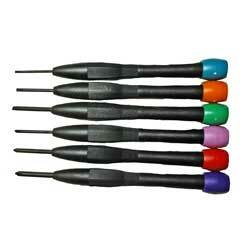 Laptop Precision Screwdrivers: Swivel head on the handle with different colored heads for easy selection.